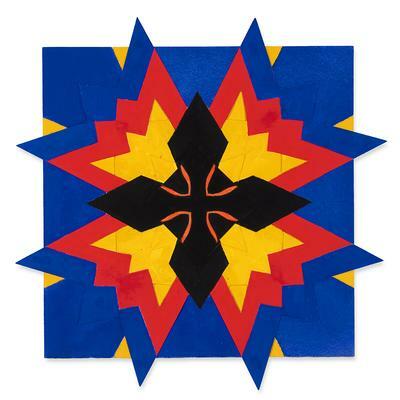 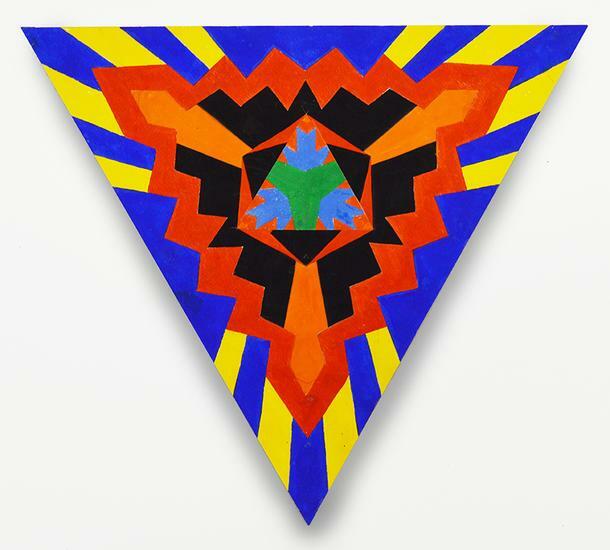 Point Blue, 2008-2018, gouache/cut paper, 14 3/8 x 14 3/8 in. Into Green, 2008-2018, gouache/cut paper, 12 x 13 7/8 in. 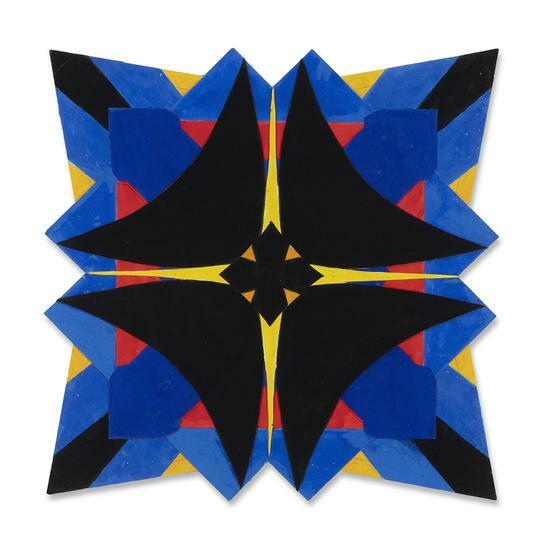 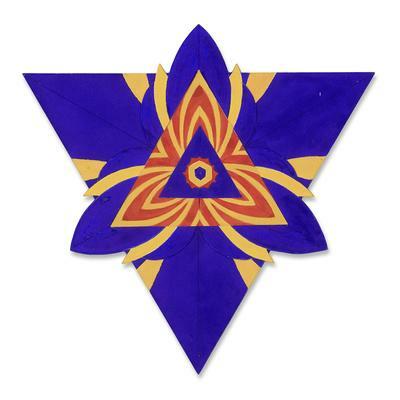 Blade Blue, 2008-2018, gouache/cut paper, 12 x 12 in. 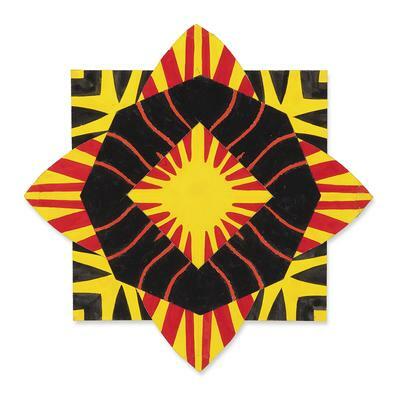 Ray Yellow, 2018, gouache/cut paper, 10 3/4 x 10 3/4 in. 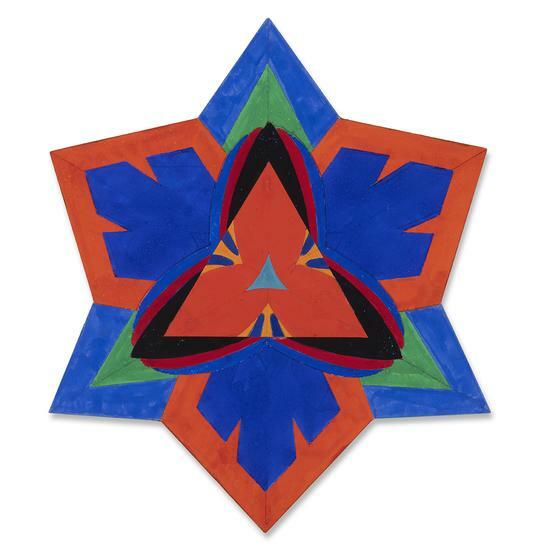 Foil Blue, 2008-2018, gouache/cut paper, 13 3/8 x 11 1/2 in. 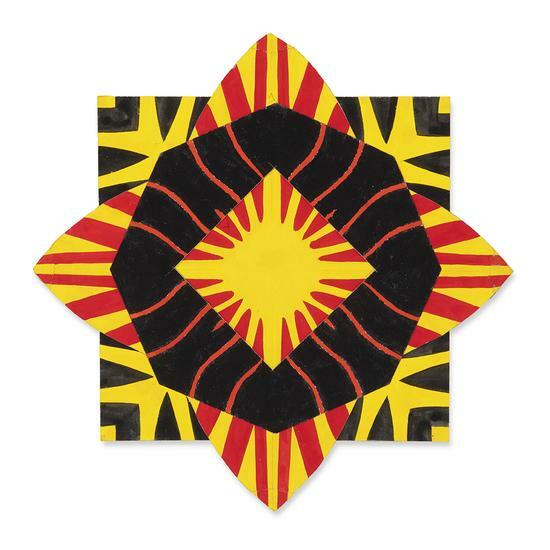 Foil Black, 2008-2018, gouache/cut paper, 11 x 11 in.